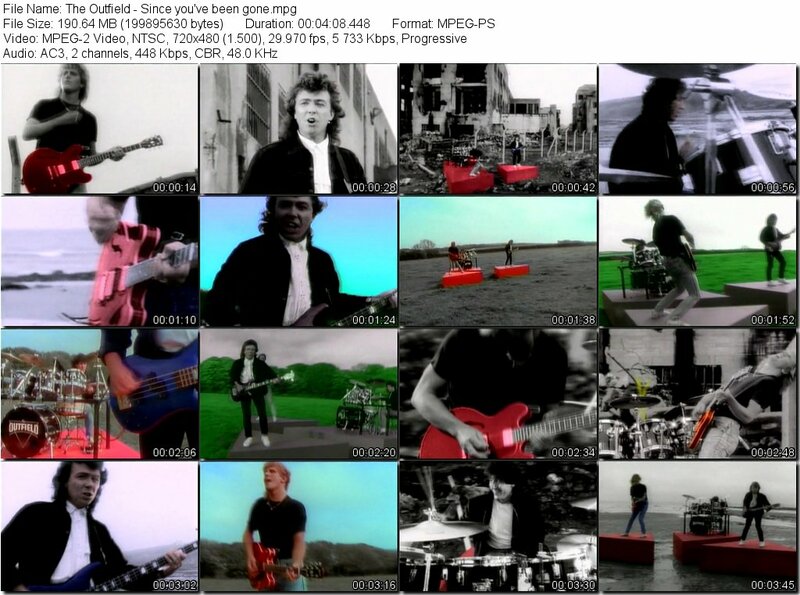 Some pictures from the video for “Since You’ve Been Gone,” the song by The Outfield that we listened to in week 1. If you’ve not seen the video, you should have checked it out, since it’s pretty funny! Or just check it out here. Hello! I’ve been pretty busy this week so I’ve not had a chance to get your homework assignment ready until now. But that’s OK, since it’s not a very long assignment. It’s going to be short since you have your test this coming Saturday–don’t forget to study! We were talking about perfect modals in class on Saturday, but we only really talked about “should have.” If you want a review or if you were absent (Adrian), then you can check out this link. For your assignment, find a music video that you like and put it in the comments below (if you just copy and paste the link, it should put the video in automatically). Then, comment on either the video and/or the lyrics, using the phrase “should have + (past participle)” at least 5 times. There are some examples of this in the link above. I also did a similar assignment with the intensive course, and you can see their responses in the comments section on this link. Note, though, that they had studied more of the perfect modals than you have. If you want to use the other modals, you can, but I’ll just include “should have” on your exam. Good luck, and tell me if you have any questions. See you on Saturday! Hi Ryan, I chose this singer because I really like Bruno Mars, and I think this video is funny because the love can be a little crazy some times!!! So this are my recomendations for Bruno!! He shouldn’t have taken the piano and walking because is so heavy!!!! He shouldn’t have walked in the middle of street because is dangerous. He shouldn’t have said that he is going to catch a grenade and jump in front of a train for her, because he knows that she isn’t in love with him. She shouldn’t have broken him heart, because he really is in love with her. He shouldn’t have chosen die in front of a train at the end of the video. He shouldn’t have done anything for her, because she doesn’t deserve that. So definitely, he should have loved another woman. Thanks, and see you the saturday! So these are my recommendations for Bruno!! So definitely he should have loved another woman. Great job! You’re right, poor Bruno. But he should have borrowed a friend’s truck to move that stupid piano, haha! Did you notice the example of the perfect modal in the lyrics? – She should have driven more carefully, because she almost ran over her future “boyfriend”. – The man in the car behind shouldn’t have touched his claxon, because that’s very rude and produces sonic pollution. – Both of them, the boy and the girl should have used a helmet when they were in the motorcycle, because they might have had an accident. – The boy should have kissed the girl long before, because she looked very cute in that dress. – The girl should have gone a little earlier, so she had time to change her shoes and don’t run the risk of being caught. Otherwise, it looks good. See you in class! Hey Ryan here it´s my video..
– He shoulnd´t have made the video like if was an old video. -He shouldn´t have stop be a gentleman. -He he shouldn´t have been such a pride man. -He should have taken her to dance every night. -He shouldn´t have let her go. Nice work! I’m not sure you did it on purpose, but the chorus even has a good perfect modal! -The couple should have driven slower. -Adele should have written more lirycs in this song. -Adele shouldn’t have broken with his boyfriend in the car. -Adele shouldn’t have fallen in love with him. That’s a good song and video–I don’t think I’d heard or seen it before. The rest looks good! See you on Saturday! Hello Ryan! This is my homework, I chose a song called Sugar we´re going down of Fall Out Boy! -The kid shouldn’t have thrown the underwear piece, because the boy with antlers really felt upset. -The kid shouldn’t have raised his middle finger, because it shows a lack of good manners. -The boy with antlers should have kissed the girl when the kite fell over him. -The boy with antlers shouldn’t have gone to the girl´s house, because he have got involved in a problem with her dad. -The old man shouldn’t have tried to shoot the boy because a car ran over him. Still, very good job, and all the perfect modals look good! Hello Ryan, this is my task …it’s about sun 41′ song. -they shouldn’t have done jackass , it is too dangerous. -the girl should not has worn accessories in her tongue. -they shouldn’t have used animals to bother. -they should have care with the things that they did . -they shouldn’t have done disturb in the street and also the girl that cut her hair , she shouldn’t has done something like that because she looks ugly. -“jackass” isn’t really an activity, but you could say, “They shouldn’t have done things like on Jackass” or something like that. – He shouldn’t have tried to lie to her. – She shouldn’t have been the “willing victim”. It is not healthy for the relationship. – He shouldn’t have been talking in his sleep! Ja, ja! -They should have said the truth. -Love shouldn’t have scarred them. Otherwise, it’s all clear. I’d not heard that song before, so it was interesting. Thanks! Do you know how to fix them? Thanks!